We are often asked what excites us most about the changing landscape of international development. Technology comes to mind, of course, because it is allowing us to reach places and design tools that we could not have imagined just five or 10 years ago. But from our perspective, the most exciting development is the changing relationship between private enterprise and the international development community. Leaders in both sectors are figuring out how to leverage one another’s unique capabilities and apply them collaboratively to challenges that otherwise neither could take on alone. 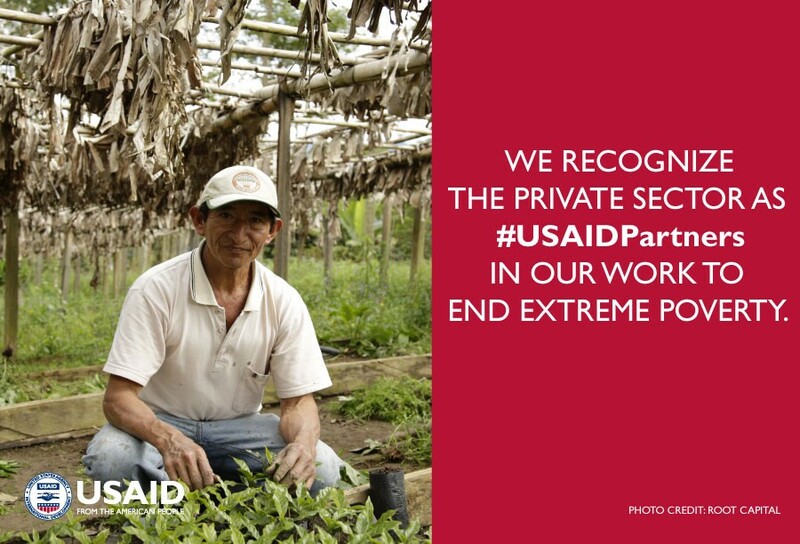 For years, many saw donors like USAID, NGOs, and governments as the primary, if not the only drivers, of progress. Private enterprise was something to keep at a distance and view skeptically. We welcomed donations and were willing to contract with the private sector, but we too seldom saw business as a true driver of development. Today, that’s all changing. We are excited that we’ve put the spotlight firmly on this change -- at last week’s Power Africa summit and this week, as USAID co-hosts Global Partnerships Week with the State Department, PeaceTech Lab, and Concordia. Through conversations happening during these events and in the months to come, we are committed to working with leaders and practitioners from across sectors to push this change forward. We call this enterprise-driven development. It means recognizing the value of private-sector engagement, but also reaching beyond traditional contracting and grantmaking models — to collaborate, co-finance, and co-design programs, tools and initiatives. Finding market-based models, sharing risk and pursuing new ways to collaborate achieve development objectives that are more sustainable in the long term, because they also help to achieve the business objectives of our private sector partners. It’s a renewed energy and rethinking of how to do development, but one that never allows us to take our eyes off why we do it: to build a freer, more peaceful and prosperous world, true to our democratic values. In order to do so, we are rethinking how our programs are designed, tested, financed and rolled out. We’re embracing the creativity and entrepreneurship that the private sector brings and the notion that involving the private sector will help achieve sustained impact and support our goal to end the need for foreign assistance. Humanitarian Assistance Grand Challenge: Providing humanitarian assistance is difficult. Businesses often face similar challenges, which is why we’ve put out this call to action, inviting the private sector, innovators and other actors to use their expertise to develop life-saving or life-improving innovations for the most vulnerable and hardest-to-reach communities impacted by humanitarian crises. Smart Communities Coalition: To address important challenges faced by refugees and their host communities, USAID through Power Africa is working with MasterCard and a number of other organizations to use technology to improve camp-management and service delivery by increasing access to digital payments, information technologies and energy. This will empower refugees to better provide for themselves and their families. These are some of the reasons why we are working closely with companies that know global challenges can also offer global opportunities; solutions can be brought to market to achieve scale and meet both business and development objectives. About the Authors: Karl Fickenscher, Deputy Assistant Administrator, Bureau for Economic Growth, Education and Environment, is a career member of the U.S. Senior Foreign Service and oversees the Offices of Economic Policy, Trade and Regulatory Reform; Private Capital and Microenterprise; and Development Credit. Harry Bader, Acting Executive Director of the U.S. Global Development Lab (the Lab), is a member of the Senior Executive Service and oversees the day-to-day operation of the Lab.